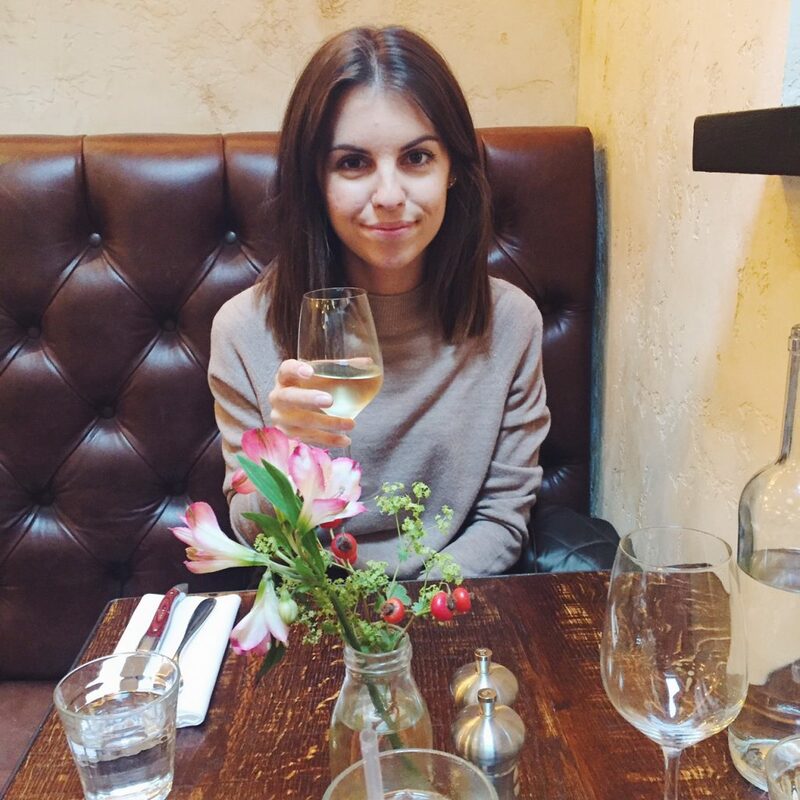 When it comes to finding a good Sunday roast, you could say I’m a little obsessed by the idea. There’s nothing I like more than proper roast dinner, pub style! 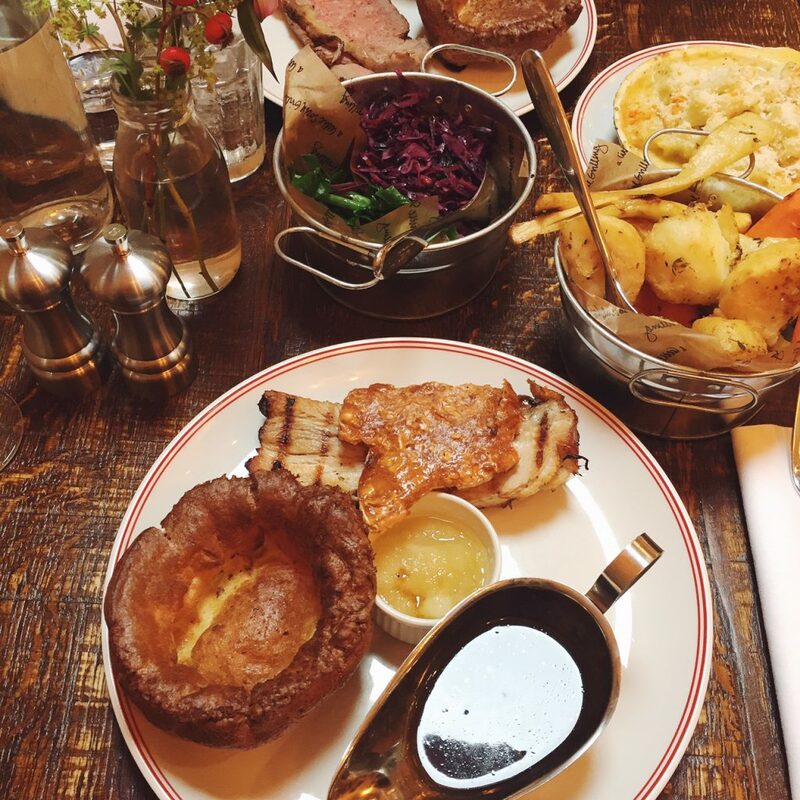 Since we moved to London we’ve travelled far and wide in search of the ‘perfect’ roast dinner, and whilst we’ve tasted good Sunday lunches, nothing has matched up to our own homemade roast. It’s not easy for any pub or restaurant to come up to my high standards. 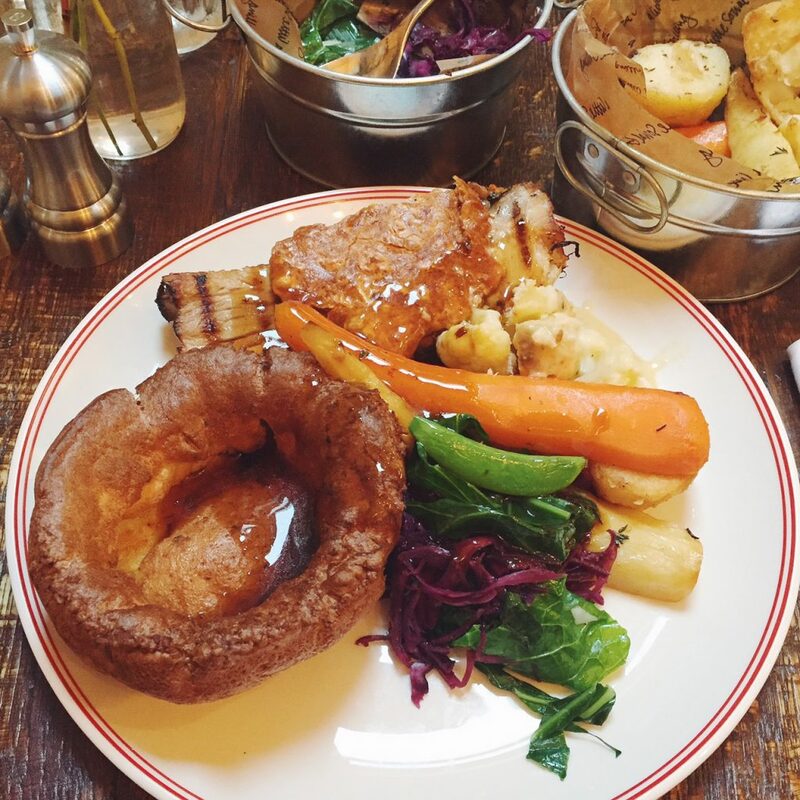 For me a roast has to have 4 crucial elements – deliciously succulent meat (preferably pork or lamb), a hearty Yorkshire pudding, lashings of gravy and super crispy roast potatoes… Plus of course veggies (no peas!!) and extra marks goes for some kind of cauliflower or broccoli cheese. So as you can see, I’m not asking for much haha. 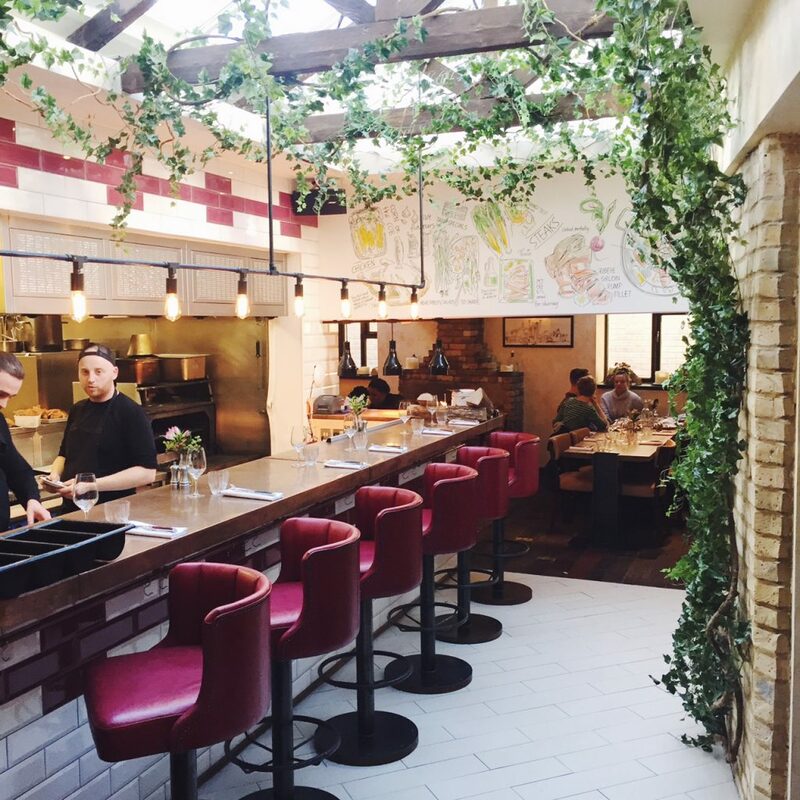 Located just down the road from Wandsworth Town station, MeatUp offers pub style food in an opulent setting, with local British ingredients and a menu boasting favourites such as roasted Scotch scallops, BBQ glazed spare ribs, ale braised pig cheeks, and rare breed beef steaks. You could say it’s a meat feast, and I guess that’s where they got the name from! 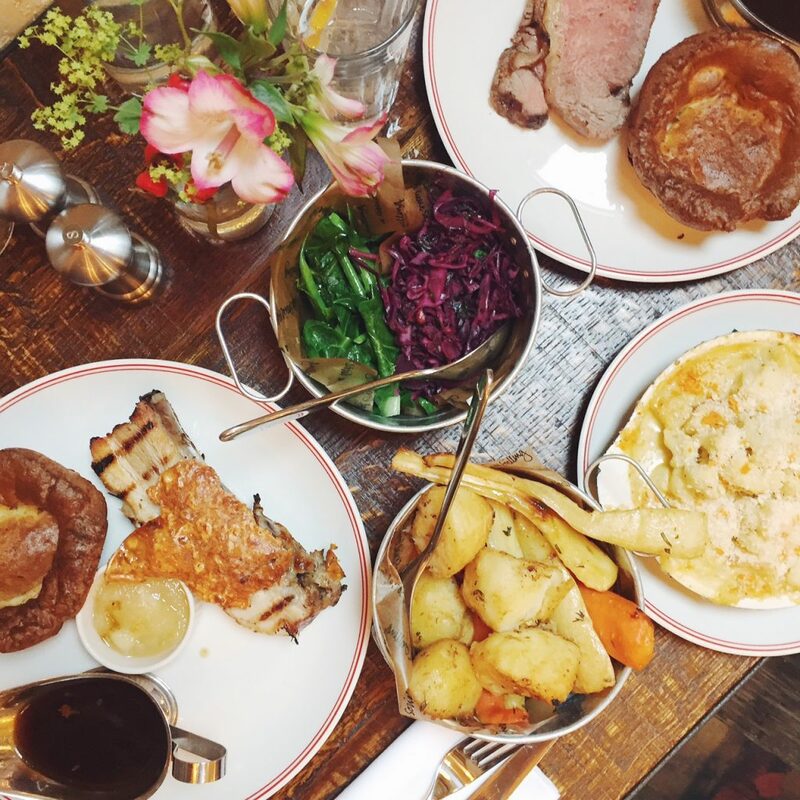 Whether it’s brunch, dinner, sharing platters or Sunday lunch that you’re after, MeatUp is a great place to come with friends or family and meet up over meat – ‘meat up’ geddit?! 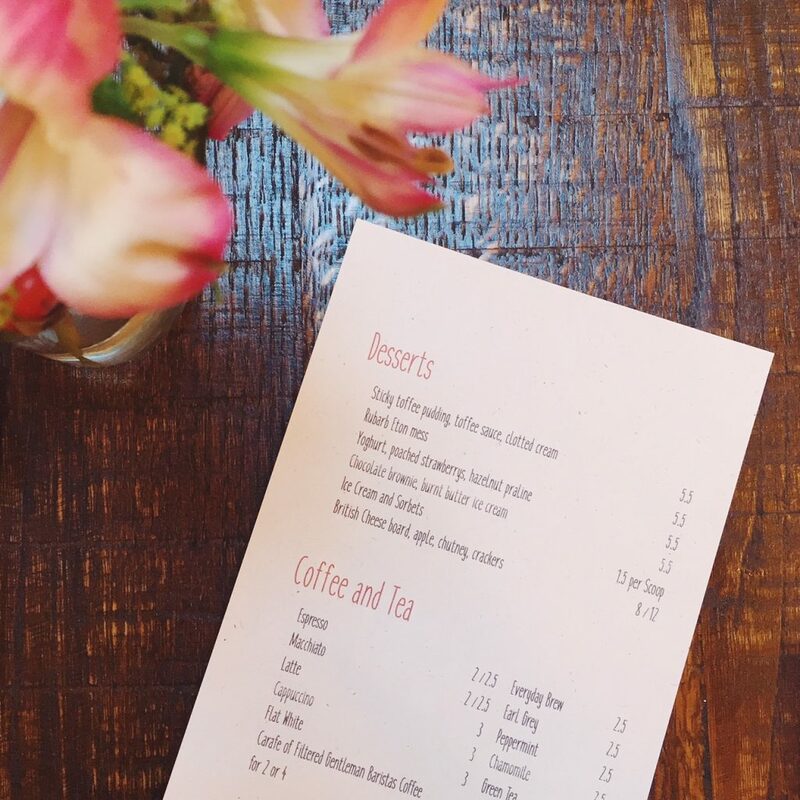 After grabbing a quick glance of a few roast dinners that whisked past us as we sat perusing the menu, we knew we were in for a feast, but we couldn’t resist trying one of the delicious sounding starters they had to offer. I’m so glad we did too, because the spiced brown and white crab meat is literally to die for! Like I am talking the best crab meat I have ever tasted, yes… ever! 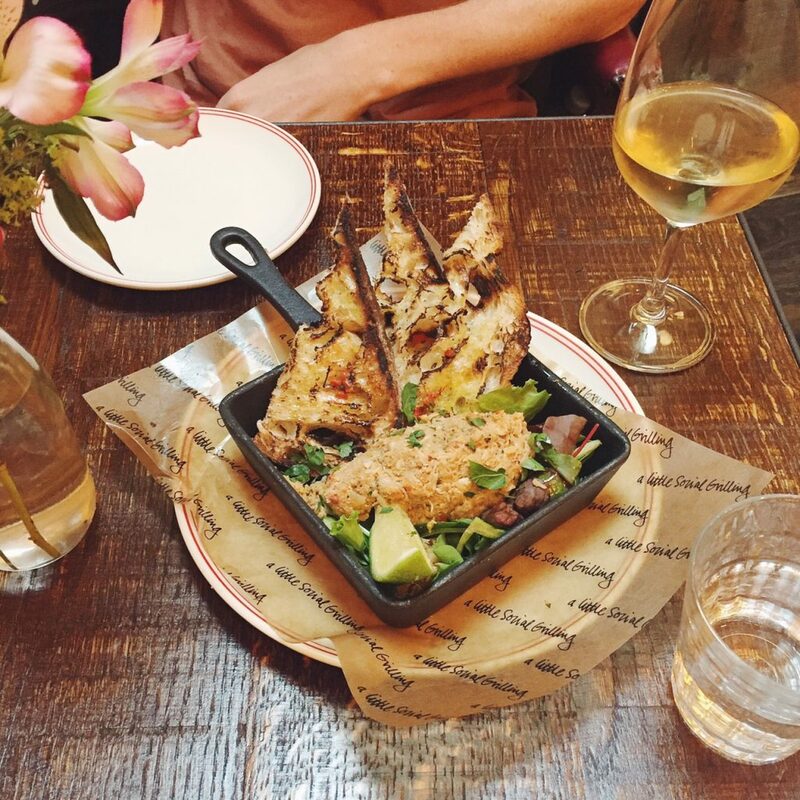 It was melt in the mouth, succulent, juicy, perfectly seasoned crab meat on wonderfully toasted sourdough bread and served with a light mixed salad. I often find crab a little over powering but I honestly could’ve eaten an entire plate of this. So so good! 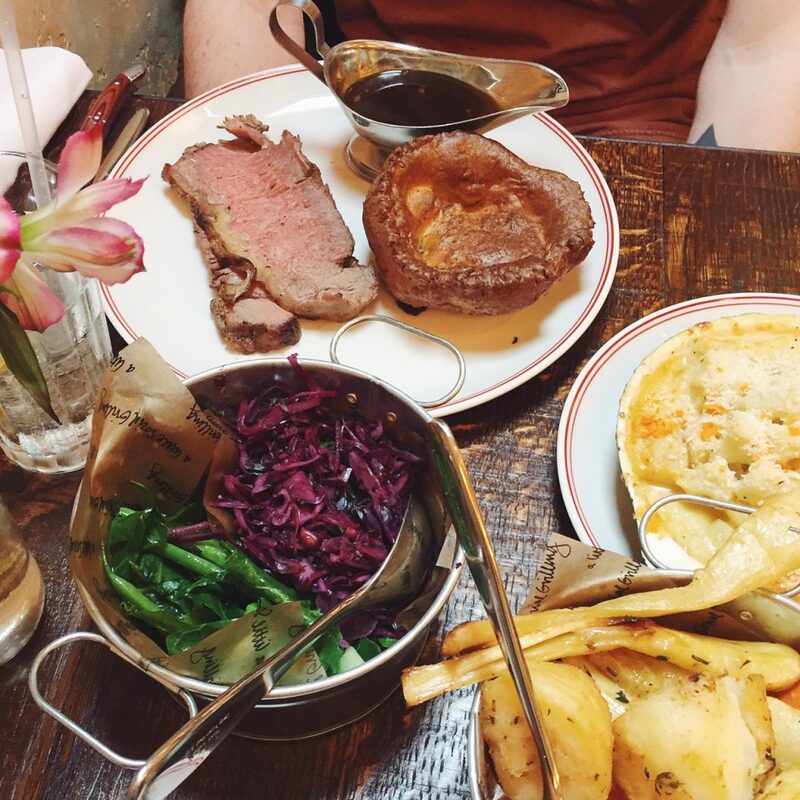 When it comes to eating a Sunday roast out there are two meats on my radar – lamb and beef. 1 because when lamb is cooked well it’s delicious and I love mint sauce. And 2 because beef comes with Yorkshire pudding and is not something we tend to cook a lot of at home, so it feels like a treat. However, when I spied pork belly on the Sunday lunch board, my mouth instantly began watering! Pork is a meat that was ruined for me as a child. My Mum insisted on overcooking it to the point where it was so dry I could barely swallow it. This is not what pork should taste like and is criminal behaviour towards cooking pork! Pork belly in particular is a delicious cut of meat and MeatUp knew exactly how to cook it. The meat quite literally fell off the bone as soon as my fork touched it. Beautifully soft and juicy, it was incredible. My only criticism… There was too much of it! Yes, I’m saying that. 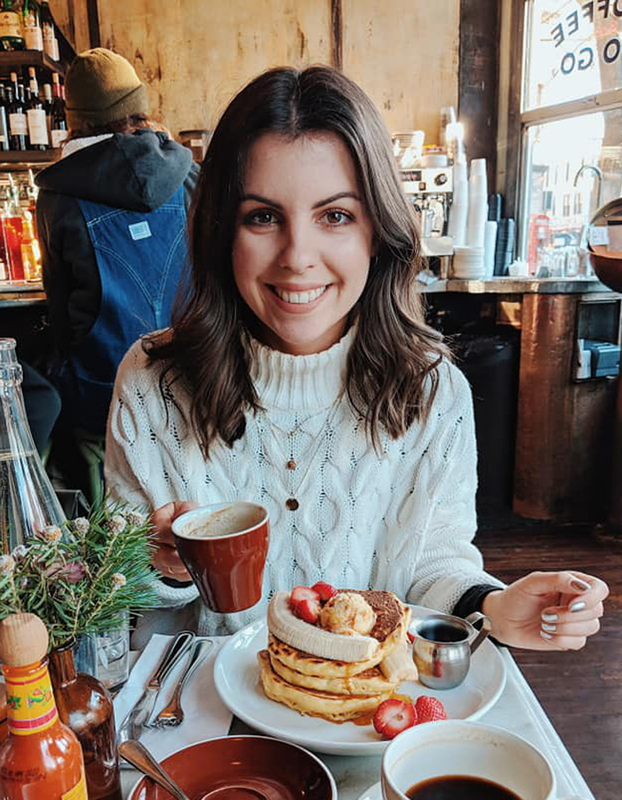 Me, the foodie. I really could not finish it. It was such a generous cut of meat. Now really this shouldn’t be a criticism as I can’t stand it when someone is stingy with the meat in a roast dinner. However, I felt so bad leaving some behind! It was too damn good to waste but it was just far too much for me. Stew chose the beef which they also didn’t scrimp out on, and neither did they on all of the vegetables. The cut silver tins pictured might look like they are for a table of 4 people, but no they were just for the 2 of us! Amazing!! We had mixed greens (including kale, mange tout and broccolini) and red cabbage, plus roast parsnip, carrot and potatoes. And as if all of that wasn’t enough, we also chose to get a side of creamy cauliflower and celeriac cheese. Holy moly it was a feast!! 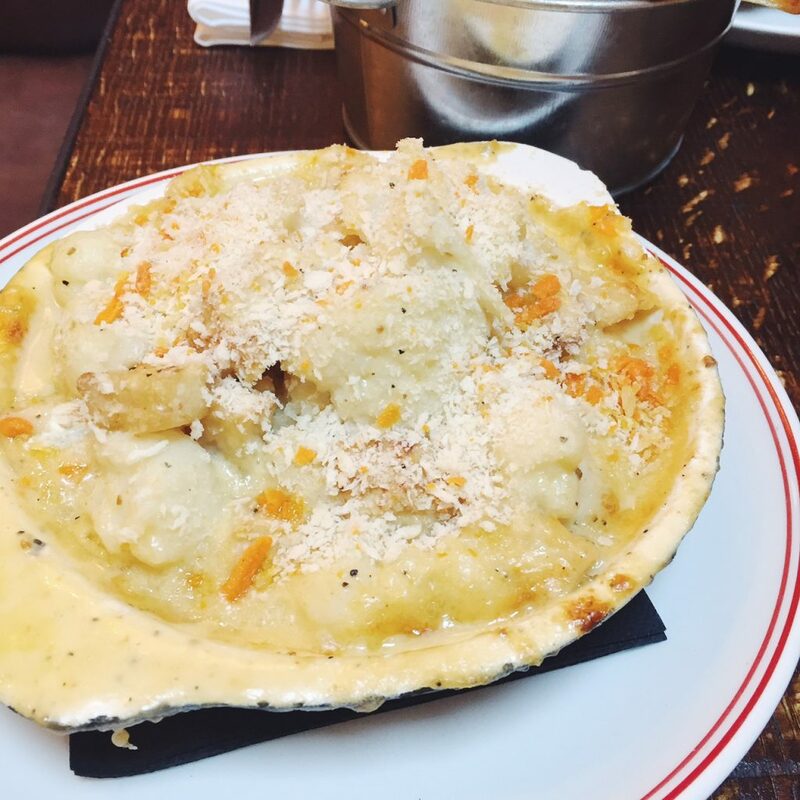 The cauliflower cheese was so so creamy and cheesy, it was the perfect addition to the plate. 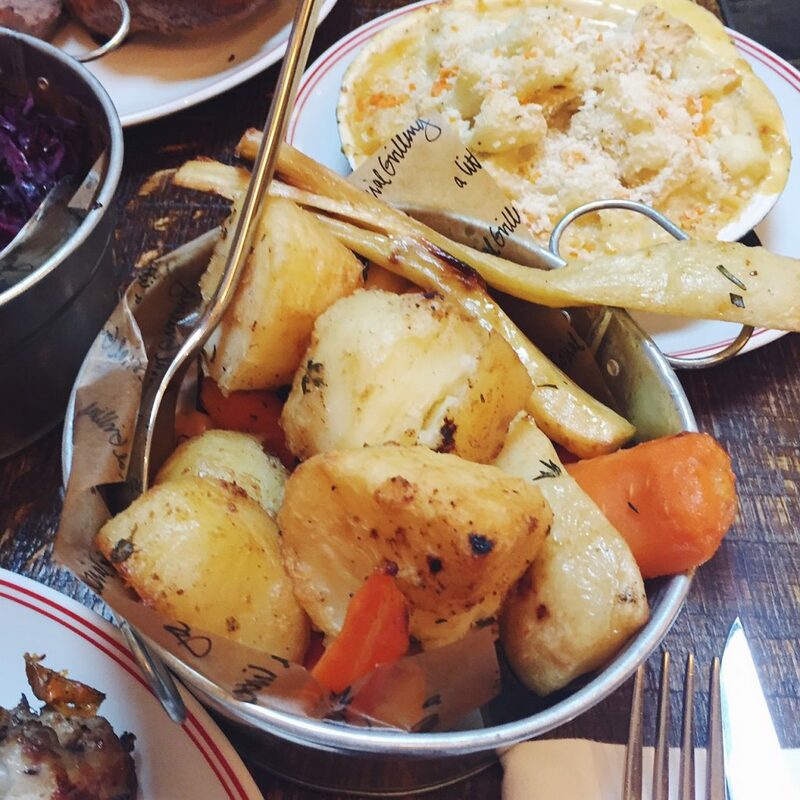 And the roast vegetables were seasoned with rosemary… If you haven’t eaten a roast potato seasoned with rosemary, do so immediately!! It will be the biggest taste sensation you’ve ever had. As you can see I had such a field day with the added extras, that I forgot about my delicious pork and hence why I couldn’t finish it. Oops! One final thing to note, is that you don’t need to choose the beef to gain a scrummy Yorkie. These are served with all of the roast lunches as standard, and like everything else, are enormous!! 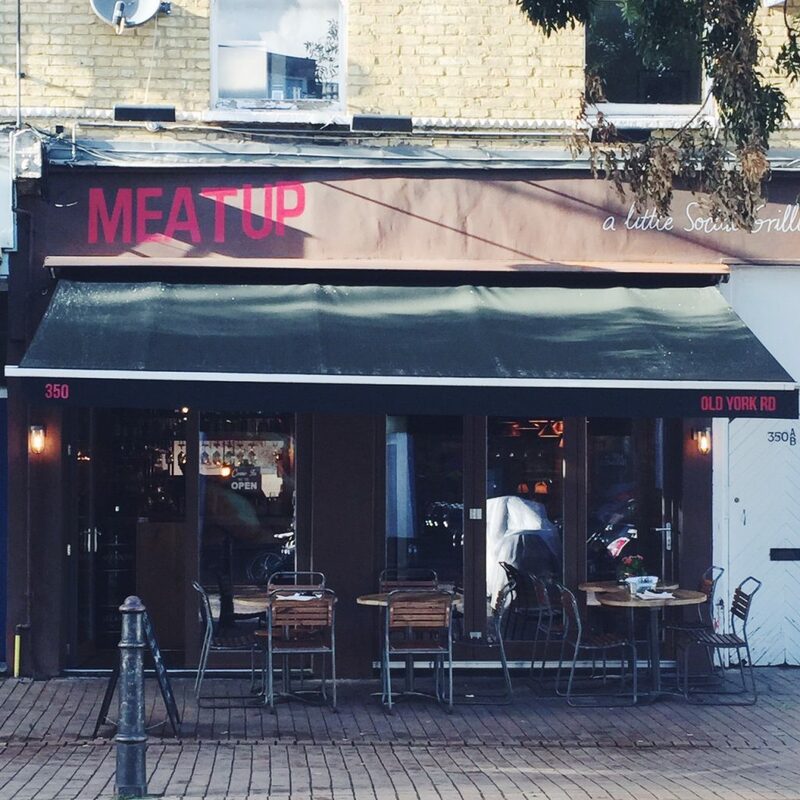 With prices ranging from £16 – £19, I can honestly say that MeatUp has to be the best value for money in the whole of London. The sheer amount of food you get for the price is insane. Just make sure you don’t eat anything for at least 24 hours before, to make sure you have enough room to fit it all in!! And as if we weren’t full enough already, I couldn’t leave without sampling one of the many desserts MeatUp offer. Do you ever have that? Where you are disgustingly full but you still need a little sweet something to round the meal off? No, just me… oh! 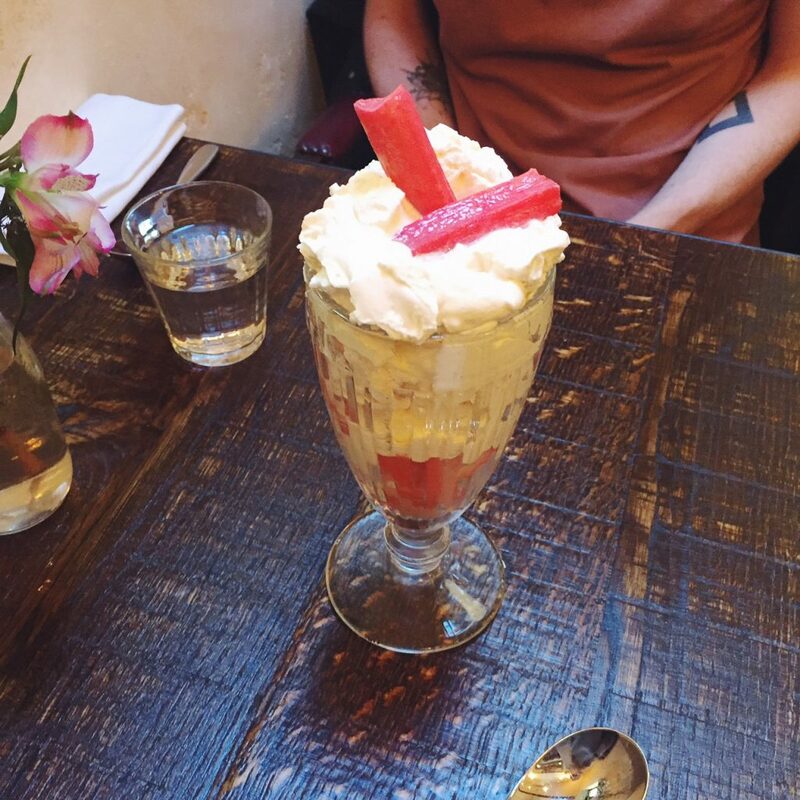 Well we decided to share the rhubarb eton mess. When I say share, I mean Stew had a couple of mouthfuls of cream and I ate all of the meringue and rhubarb. I don’t know why we’ve not done this before, it’s the perfect dessert for us – he loves cream and I love meringue. Perfect!